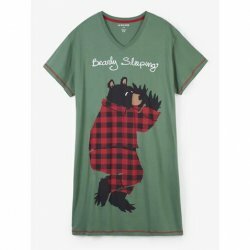 If you're bearly sleeping you'll love this super soft sleepshirt. 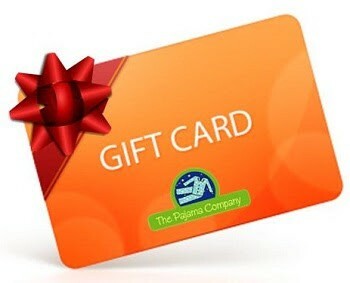 It's comfortable, lightweight and will have you waking up feeling refreshed and revitalized in no time. Not a morning person? We hear you! Early days will feel a little easier in our super soft and comfy sleepshirt. You'll love the lightweight coton jersey. There's nothing better than snuggling up after a busy day. We've got a super soft sleepshirt that's just right. It Moose be 5 O'clock somewhere. Happy hour starts now in our super comfy cotton sleepshirt. Slip into our cozy 100% cotton jersey sleepshirt from Hatley Nature tonight. This sleepshirt features a colorful silkscreen design with contrast hem stitching and neck tape. All of our Hatley Nature sleepshirts come rolled and wrapped in a cotton sleeve. Sleepshirts wash well, keep their shape and experience minimal shrinkage. This sleepshirt is 40" in length and has a tag free label for added comfort. One size. Slip into our cozy 100% cotton jersey sleepshirt from Hatley Nature tonight. You might like our festive pajamoose sleepshirt. We love a sleepshirt that puts a smile on our face and our new "Yoga Bear" does just that. Made of 100% soft cotton, this is a sleepshirt you might just want to wear all day. You might also like our "Namoosete" sleepshirt in white. The perfect nightshirt for wine lovers is here. 100% cotton in a pretty blue. You might like the matching wine tasting pajama pant. Our new nightshirt celebrates the love of coffee. Made of 100% cotton in a pretty aqua.You might like the matching morning coffee pj pant. Hot nights at the cottage just got a little cooler with this adorable cottage life print nightshirt. Mader from 100% cotton jersey, this loose fit nightshirt will keep ou cool even when the tempature outside is hot hot. This popular sleepshirt for cat lovers is back. You might also like our new red Udderly Exhausted sleepshirt now in stock. This popular nightshirt is back in a pretty pink. 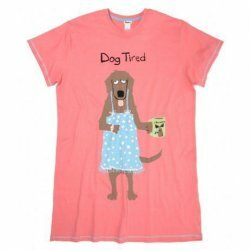 You might like the matching holiday Dog Tired. Hibernate this winter in our fuzzy fleece "Cool Chick" pj pants. 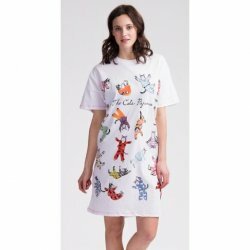 You might like the matching women's sleepshirt. Bow to the divine power of a good night's sleep. 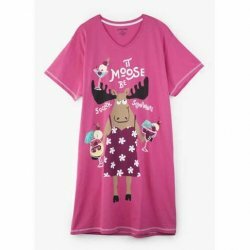 In this lightweight cotton jersey sleepshirt with cute moose print you'll be out like a light in no time. Calling all Star Wars fans. Here's a new pj pant just for you. This pant is 100% soft flannel. You might like the matching pajama set for kids. A new addition to our Hatley sleepshirt collection is sure to please. You might also like Pawsitively Exhausted. Our always popular "I Moose Be Dreaming" print is back in a colorful patterned moose. Our customers love the fit and comfort of Little Blue House by Hatley sleepshirts. You'll love this super soft holiday pajamoose sleepshirt. It's comfortable, lightweight and so festive. There's nothing better than snuggling up after a busy day. We've got a super soft festive sleepshirt that's just right. 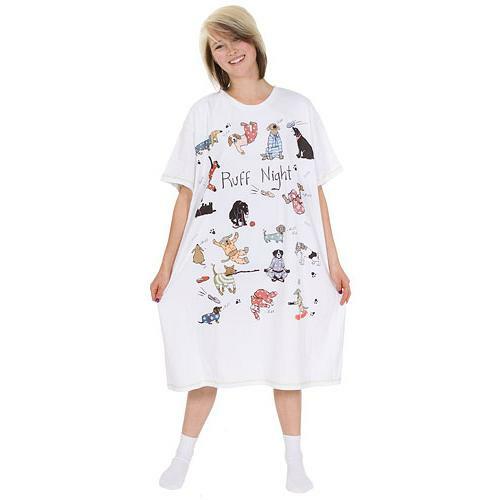 You'll feel like the cat's pajamas in this super-soft sleepshirt. It's comfortable, lightweight and perfectly festive. There's nothing better than cozying up with a mug of hot cocoa. You will love this super soft cotton sleepshirt that is perfectly festive. We think this might be the perfect pajama pant for hibernating all winter long. A perfectly festive pajama for guys, just in time for the holidays! Tis the season to be cozy in this 100% cotton flannel.